"Land grabs" in Laos are driving poor farmers, including ethnic minorities, off their land, away from livelihoods they know and into further poverty, activists and experts say. “When these lands [are given] to companies and converted to industrial agriculture or other uses, it destroys the foundation of rural people’s lives, livelihoods and knowledge systems, as well as their access to food, nutrition, medicines and incomes," Shalmali Guttal, a senior analyst with Focus on the Global South, a Bangkok-based NGO which campaigns for social justice in Laos, told IRIN. Large-scale land leases in Laos - or "land grabs," as campaigners call them - are driven by foreign investment projects brokered between the government and private companies, which have increased in frequency in the past decade and encroached on the land occupied by hundreds of communities, according to researchers at the University of Bern's Centre for Development and Environment (CDE) in Switzerland. Ethnic minorities, which make up about 70 percent of the population, mostly live in resource-rich upland areas, which are often the target of land purchases by international corporations. Because of where they live, they are disproportionately affected. “Since many of Laos’s ethnic minorities and indigenous peoples' traditional lands are in areas coveted for conversion into development projects, they have been targeted for relocation projects, largely without their free, prior or informed consent,” says Nicole Girard, senior campaigner for Minority Rights Group (MRG). Corporations usually promise prosperity. For example, mining operations in Laos have claimed to create thousands of jobs and contribute to local development: The proponents of such schemes would probably point to the fact that between 2005 and 2012, Laos’ GDP increased from US$2.7 billion to 9.3 billion. However, increased poverty and higher mortality rates are often the lot of those displaced following a government-brokered land deal. “As most [ethnic farmers] have no education, if they are forcibly displaced, they have very few livelihood options,” said Debbie Stothard, executive director of the International Federation of Human Rights (FIDH), a coalition of human rights NGOs. Researchers and activists point to the impossibility of continuing traditional farming practices, coupled with lack of work skills, as driving resettled communities into poverty. Land deals in Laos, they say, despite decent laws, are carried out with little transparency or accountability. 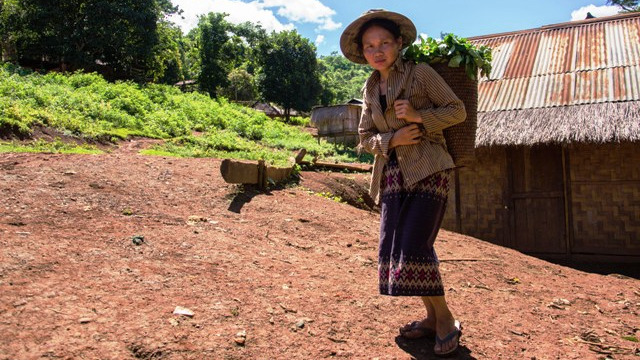 “There are certain indications that there is a new poverty happening in Laos with the landless poor,” said Andreas Heinimann, senior lecturer at CDE, who co-authored a 2012 land report with the Laos Ministry of Natural Resources and Environment (MoNRE) . UN Development Programme research found that populations from upland villages that are resettled can suffer mortality rates of up to 30 percent when they are forced to abandon their traditional livelihoods and move to other places. “The impacts [of so many rural poor moving to urban areas] have included significant rises in mortality rates, conflict between communities, and a lack of access to education and health facilities, despite promises of such things,” said MRG’s Girard. When the government relocates farmers to consolidated villages near towns and cities, families in some cases have been given as little as 0.75 hectares of land - roughly half what they traditionally use for farming. Most ethnic groups in rural areas practice shifting cultivation, which requires large plots of land to allow some soil to lie fallow to regenerate while other sections are planted - a system that is “completely different” from the settled farming of the lowland areas where they are resettled, according to Heinimann. In June 2012 the government issued a moratorium on new land concessions for rubber and eucalyptus farming, and mining. However, researchers say, murky land deals continue to drive ethnic communities off their land without adequate consultation or compensation. Official data show 1.1 million hectares of land - 5 percent of the country’s arable land - has been the subject of roughly 2,600 land deals since 2010 (when the government started keeping track) for large-scale development projects, though some activists suspect leased land could be more than three times that amount. 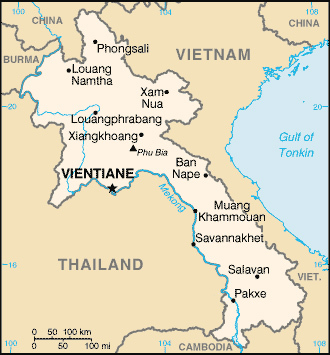 In 2012 the International Food Policy Research Institute listed Laos among seven countries in the world in which international land deals account for more than 10 percent of the total agricultural area. “Decisions are not made in public because [the government] doesn’t have proper procedures, and companies are operating in a vacuum of rule of law and policy,” said Michael Taylor, the programme manager for Global Land Policy at the International Land Coalition (ILC), a Rome-based secretariat for NGOs and UN agencies working on land issues worldwide. All land in Laos officially belongs to the state, leaving citizens with few options in terms of legal redress when land deals are brokered between the government and companies. “The government sometimes just tells people to move. Of course, we don't want to go, but what can we do?” said Vong (he uses one name), a 25-year-old ethnic Hmong farmer in Ban Houythao village in northern Luang Prabang Province. The most recent domestic analysis shows that 72 percent of all land development projects in Laos are run by foreign investors - mostly from China, Vietnam, and Thailand. “In the rush to attract overseas capital, the Laos government has made concessions [renting out areas for intensive land use projects] extremely favourable for foreign investors,” said Taylor. While a 2005 government decree requires investors to compensate and resettle villagers whose land is appropriated for projects, loose monitoring means implementation has been piecemeal. For example, a lignite mining project in the northern Hongsa District launched in 2010 to provide electricity to Thailand will expropriate roughly 6,000 hectares of rice paddy fields cultivated by 2,000 farmers there. However, according to the Land Issues Working Group, a consortium of international NGOs based on Vientiane, the Laos capital, no negotiation with communities has taken place. The government, in the report it co-published with CDE, acknowledged the lack of proper oversight allows such cases to occur. “There is a lot of scope for abuse,” said Taylor.